Artel is somewhere I'd been meaning to visit for a long time. It's a building I'd eaten in many times in the past when it used to be Pandora's Kitchen. The space on the first floor is modern, bright and relaxing. 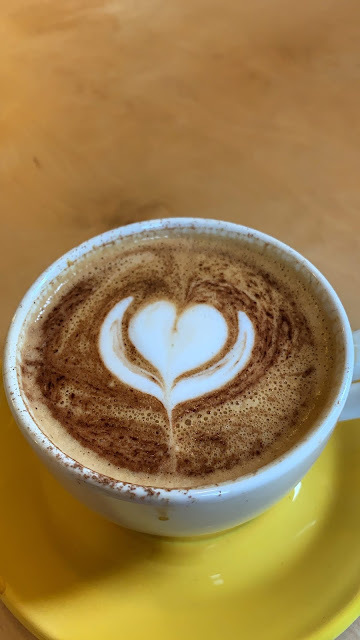 The perfect environment to enjoy a spot of brunch or chat with a friend over a coffee. The large table in the centre is ideal for a large group. Most of seating here consists of stools but there are some softer seating options. A tough decision but the chicken waffles were definitely calling my name! 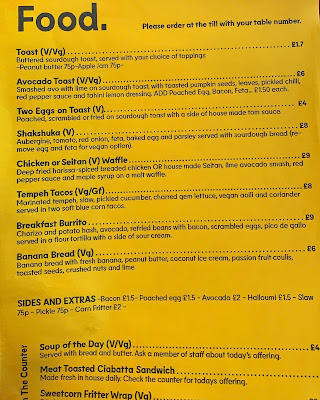 You can read the full menu here. The coffee here is excellent and reasonably priced. This was the nicest thing I've eaten in a long time! 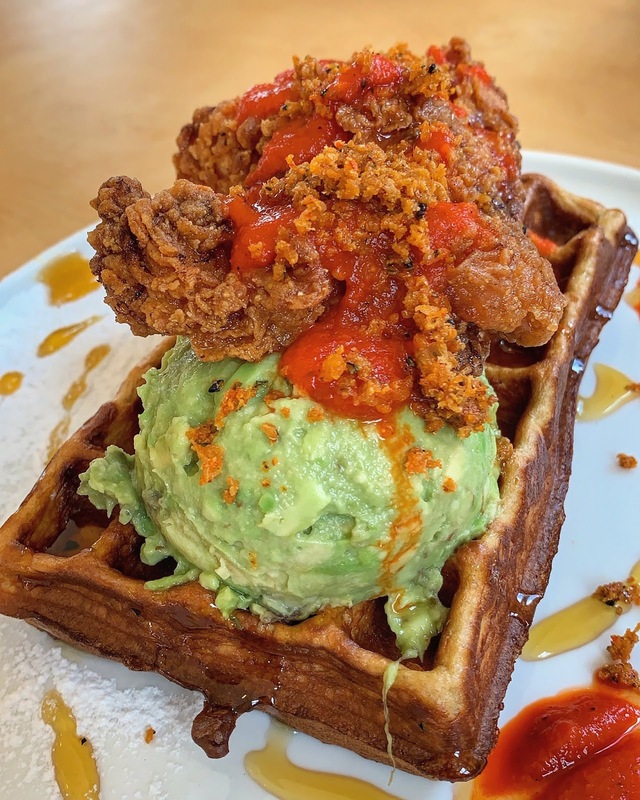 Deep fried harissa spiced chicken with lime avocado served on a malt waffle with red pepper sauce and maple syrup. Such an impressive combination of flavours and textures that work together beautifully. My wife ordered the Tempeh tacos - Marinated tempeh, slaw, pickled cucumbers, salad, vegan dressing and coriander served in blue corn tacos. So overall a great environment covering two floors with the upstairs being the quieter space. There's also seating outside on London Street which is a good option in the warmer months. It's dog and child friendly and serves food well into the afternoon so the perfect spot for a late brunch. The chicken and waffles was so delicious I know I'll be tempted to order it every time I visit now! 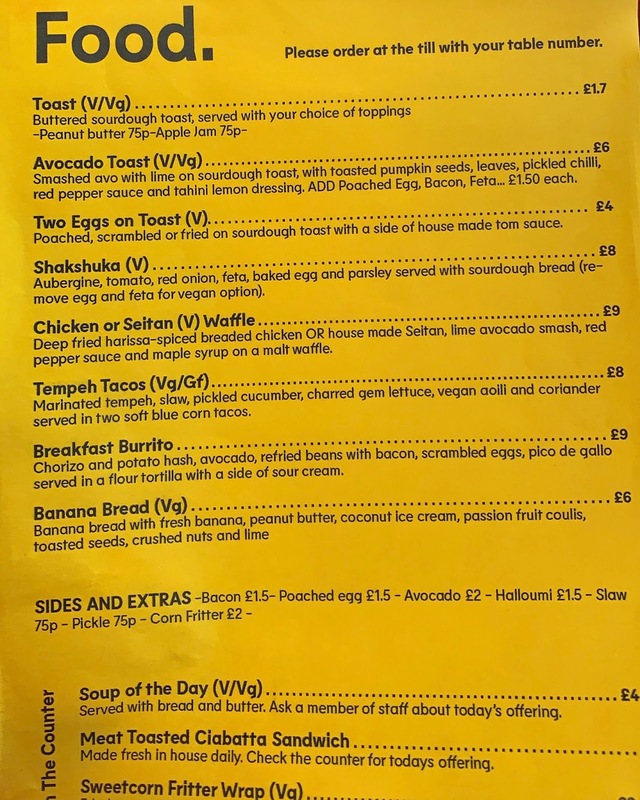 I probably should try the breakfast burrito next time though as that sounds pretty special too. A day in Cambridge searching for great burgers and Dinky Doors. 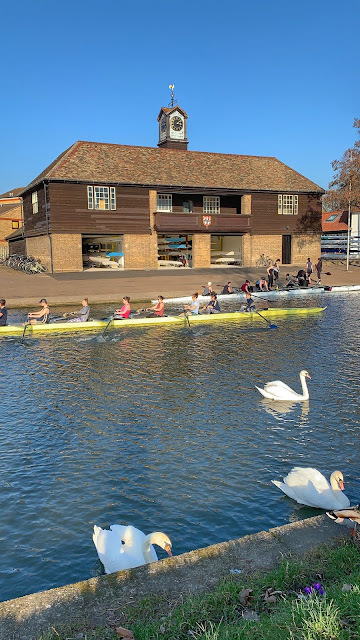 My wife and I had hoped to visit London back in February but with constant engineering works on the London to Norwich train line we decided instead to visit Cambridge for the day. My main focus was to find a decent burger in Cambridge and as luck would have it I'd heard about quite a few great places to visit. 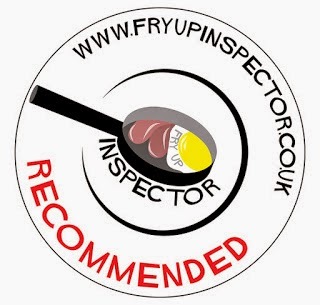 The place that was most recommended to me was Steak & Honour on Wheeler Street. Having served the people of Cambridge over the years from their stunning fleet of Citroen vans they eventually opened the shop too. It's just a few minutes walk from Cambridge market and is easy to spot. The special of the day was the Holy Cow which consisted of a riverside patty with brisket, American cheese, slaw, gherkins and S&H hot sauce in a brioche bun. My main concern with burgers is the patty being overcooked but that certainly wasn't the case here, these guys totally nailed it! The patty was served cooked medium and topped with a heap of incredible beef brisket, the slaw and gherkins added a nice crunch. A delicious burger that held together till the end but you'll definitely be needing the stack of serviettes it comes with, things will get very messy! 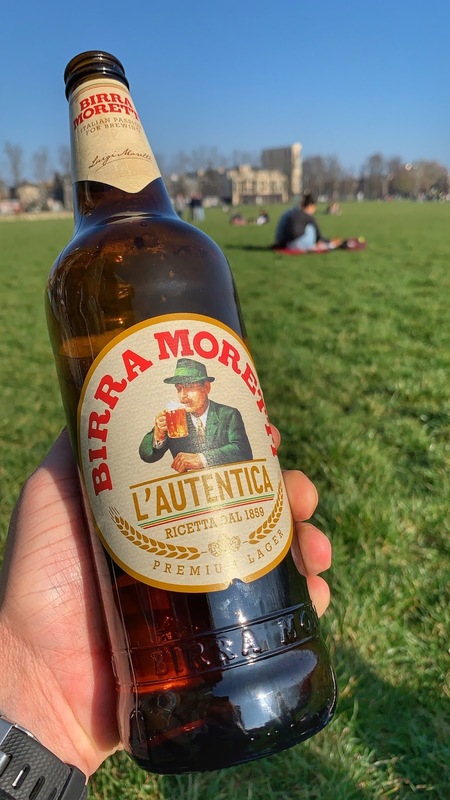 It was hard to believe it was February as the temperature felt more like May, the perfect excuse to enjoy a beer in Parker's Piece. 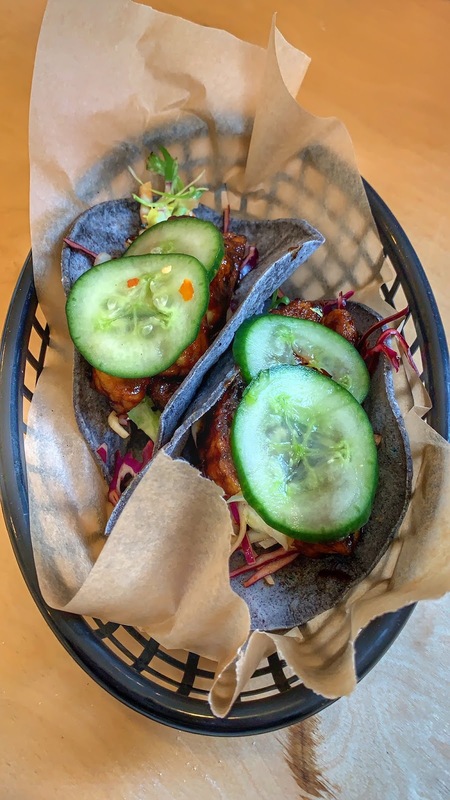 Having enjoyed my burger from Steak & Honour my wife had decided to check out the plant based burger joint Doppleganger. 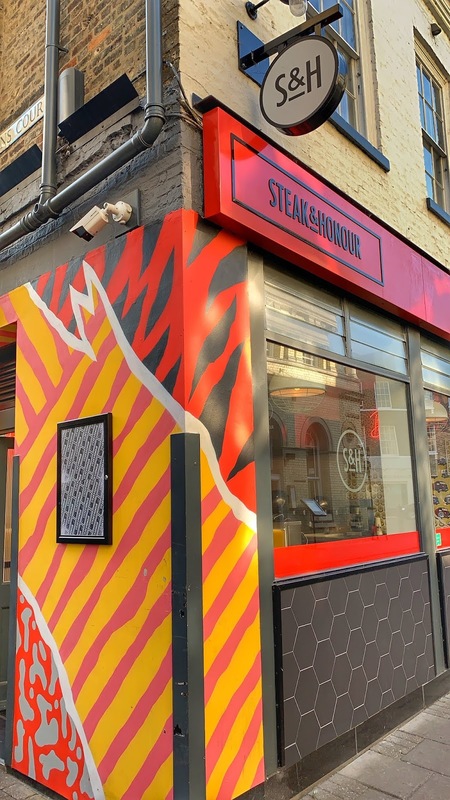 Doppleganger had only recently opened on Regent Street and offer an impressive selection of plant based burgers and sides. Their new shop looks great inside with a touchscreen ordering process showcasing everything on the menu. My wife ordered a side of mushroom balls and the Hot Chirpy burger consisting of a crispy dopplefillet, ranch sauce, lettuce, tomato, Frank's sauce a jalapenos. When it comes to burgers my wife usually leaves the bun but she was so impressed with the Hot Chirpy she ate it all remarking it was the best burger she'd ever eaten. She kindly let me have a bite too and I must say it was really delicious with the dopplefillet having a very similar texture to chicken. Another good food find was doughnuts by Battered on Cambridge Market. Choosing which doughnut to buy was no easy task as they all looked so good. A Biscoff always wins me over though and it was definitely a good choice. The doughnuts here are all vegan which my wife was delighted about. Many vegan doughnuts I've had in the past have been a bit dry and disappointing, these ones however were incredible! 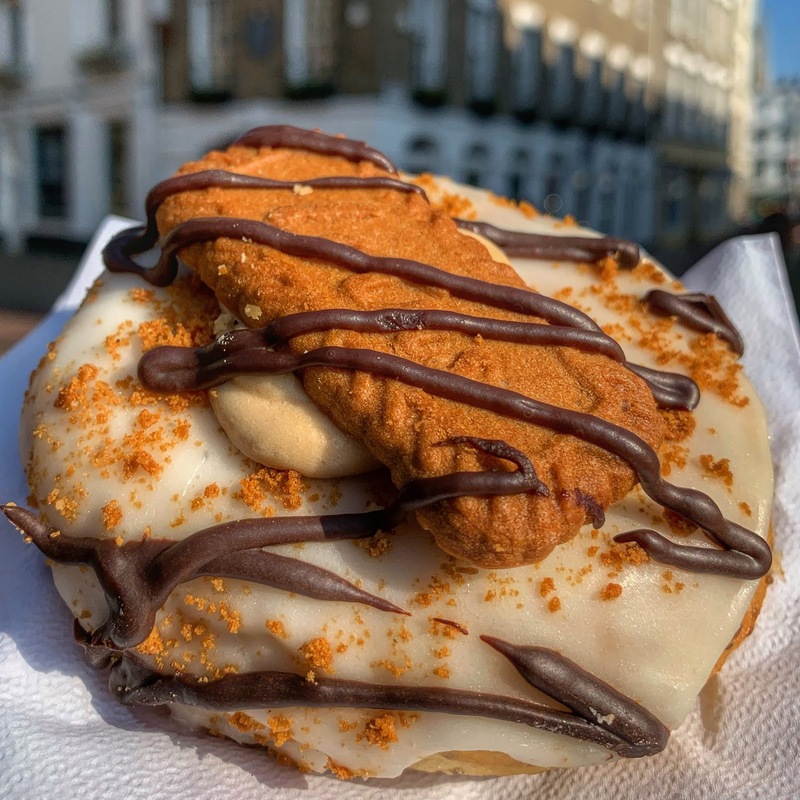 The doughnut was topped with caramel icing, Biscoff spread buttercream, a whole Lotus Biscoff biscuit, crushed Biscoff and a dark chocolate drizzle. Also worth a mention is the Pastel De Nata from Norfolk Street Bakery. I can't believe I'd waited over 8 months since The Lisbon Adventure to eat one again! We didn't just spend our time in Cambridge eating, we were also on a mission to find all the Dinky Doors. 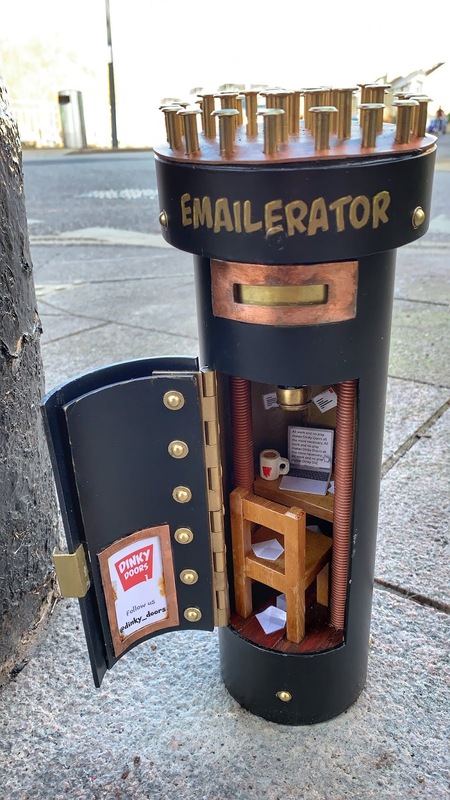 These tiny doors can be found at different locations in Cambridge, either search for them yourself or look up the locations of each one on their website. I didn't get a photo of the first door we found called "Reality Checkpoint". I did remember to photograph 10 and a quarter Downing Street though and it took some searching for. Teleport-o-Matic was well hidden between two phone boxes. You can read an interview with it here on the Dinky Doors blog. The final Dinky Door was a bit further away from the centre and involved walking beside the River Cam to locate it. 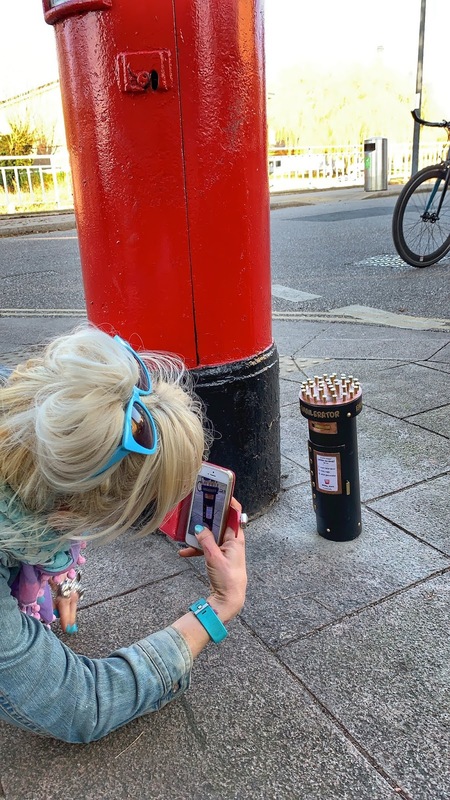 We found it eventually beside a post box. 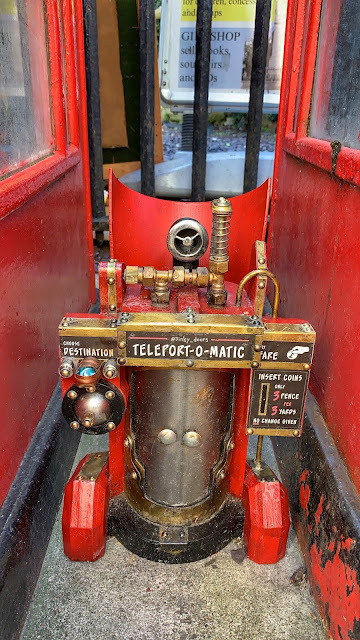 The Emailerator has a tiny door which opens so you can look inside. 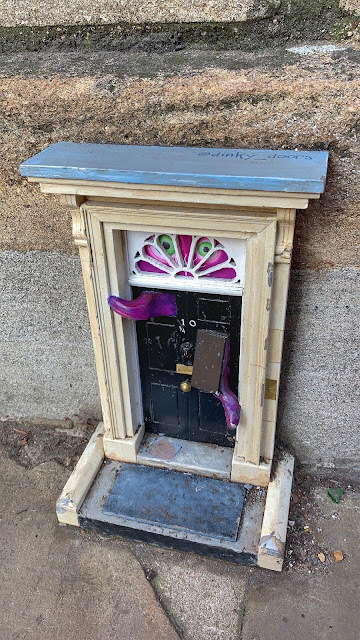 Since visiting Cambridge another Dinky Door has appeared on the streets called Wonder Emporium.